This promotional single was released in a gatefold cardboard sleeve with a fully printed front and back. 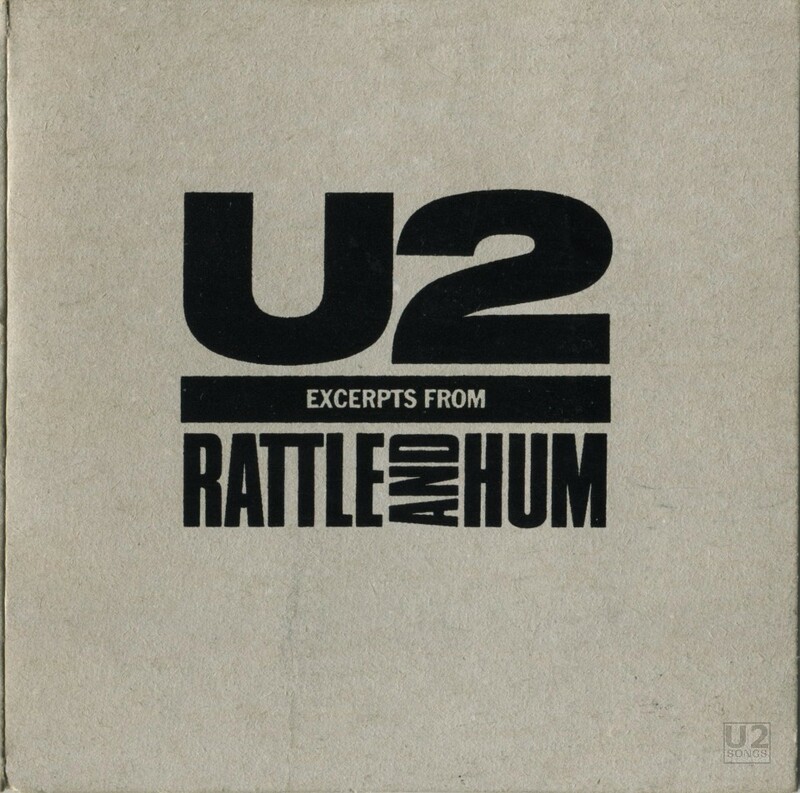 The front cover features the text logo for the movie “Rattle and Hum” under a large U2, with “Excerpts from” written on the bar in between. The inside contains a photography of U2, as well as the track listing of the CD. The promotional release was released in the UK to promote both the album and the movie of the same name. The promotional release featured two tracks from the album itself, “Hawkmoon 269” and “God Part II”. The remaining three tracks are live tracks from the film, which are not featured on the “Rattle and Hum” album. Of these three tracks, two are from sessions in Denver CO, in November 1987, and one is from a concert held in Tempe AZ in December 1987. Taken from the film Rattle and Hum.